Trevor joined the company in April 2003 on completion of a 22-year military career which culminated with two years at the MoD’s procurement organisation in Bristol, where he achieved promotion to Warrant Officer Class 1 (WO1) in the Royal Electrical & Mechanical Engineers (REME) as an Artificer Vehicles. 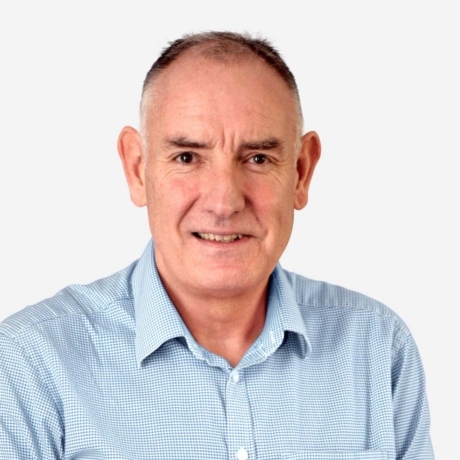 During his time in the company Trevor has supported our client base on a vast array of projects predominantly as an Integrated Logistic Support (ILS) Manager but also utilising his skills in the areas of Project, Risk and Safety Management, the development of Technical Documentation and the production of Training Needs Analysis (TNA). Trevor has also developed and delivered a number of ILS related courses for the company which have received excellent feedback. Trevor’s enjoys keeping fit and is frequently seen pounding the lanes of the Shropshire countryside (running and cycling). He has recently completed a couple of half marathons and is presently training for a triathlon, with a plan to complete a full marathon within the next two years. Trevor’s other keen interest is photography which allows him the opportunity to leisurely capture the Shropshire countryside with his ‘happy snaps’ (and possibly planning new routes for his running and cycling). Trevor’s role as Operations Director looks at the strategic direction of the company and includes Business Development and Human Resources. His is also responsible for the planning and managed execution of all current programmes. Developing into these roles has allowed Trevor to gain qualifications in Project, Programme & Portfolio Management, Business Studies and Employment Law – he is presently studying for a Master of Science (MSc) in Professional Engineering. Trevor has recently been awarded Chartered Engineer status and has also been recognised for his sustained high levels of achievement through leadership, senior responsibility, innovation and professional service at the forefront of engineering by being awarded a Fellowship in the Institution of Engineering & Technology. Additionally, Trevor is involved in a Property & Land Management business in Shropshire as a Director and Shareholder.